In a city where we continuously elevate our fashion sense, our taste buds, and our little tiny city apartment spaces, why not constantly elevate our acting game? As actors we gravitate towards new styles and methods of performing. The one I found to be fun and most rewarding is Improvisation. Forms of improvisation have been around for many years. Comedia del’ Arte, which in Italian means “comedy of professional artists” is a form of improvisation that became popular in the 18th century and is still performed to this day. The performers wore costumes, masks and used slapstick props while often performing in the back of their traveling wagons. The scenes often dealt with local events and scandal, which is also similar to our current day entertainment. Improvisation by definition is a form of theatre where all, or most of, what is performed is created in the moment of that performance. Think of it as a ready, set, go, moment, in which it’s up to you to decide what you are adding to the performance through improv. Anything goes, so don’t think too much, just act. For example, if your scene partner says you are at the airport and you forgot your luggage, go with the moment. Why not raise the stakes in the scene: be at the airport with no luggage and you just missed your flight to your best friend’s wedding. Now that makes it more interesting! Explore where your strong choices take you and the scene. Remember there is no wrong path! Most performances are scripted and your job as the actor is to take those words on the page and bring them to life, turning them into a believable reality. By using the principles of improv, you can be more present and focused, and less concerned with memorizing the scene, even when acting alone. This lets you be more in the moment, and able to focus on other details of your character. When doing improv there are no rehearsals. However you can apply the below guidelines at read-throughs, rehearsals or the technical rehearsal (which is the final rehearsal before the performance) to improve at each step of the way. The lessons that follow will elevate your performance from good to great! Improv is an art form. With most art forms you need to train in that craft. Practice, practice, practice; which means sign up for improv classes, join a team (or even form your own), or anything else that flexes your improv muscles and keeps your acting chops strong. 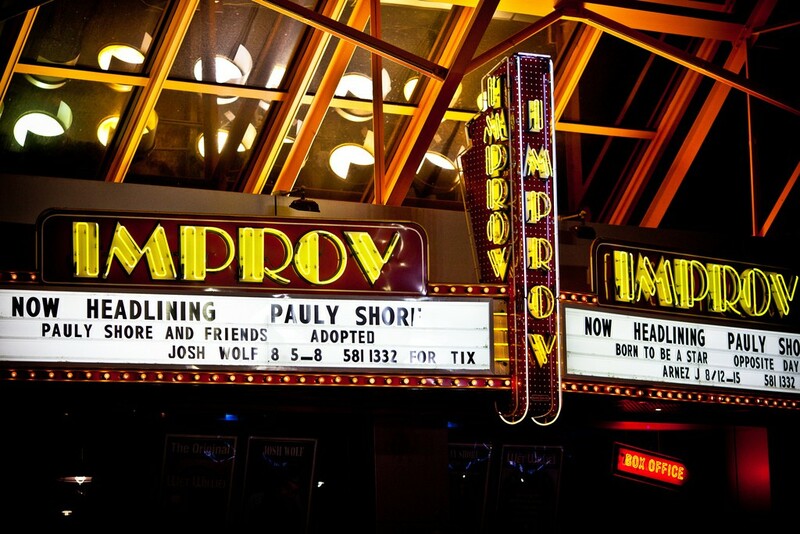 It also doesn’t hurt to get out and watch other comedy/improv performances. Take notes, get inspired, and apply everything you can to all that practice you are doing. Avoid questioning yourself or your partner, which can often stop or block the movement of a scene. Like your high school coach once said, “There is no I in team.” This is also true with improv or any acting performance for that matter; it’s a team sport. This trust can be built through improv exercises or workshops in which each performer needs to rely on one another. Stay in the present and make strong choices (there’s that “choice” word again). Don’t upstage. Rather, the better you make your scene partner look, the better you will look. Take the suggestions from your partner and go with it. Create a story. Most importantly, be true to the character you create and react truthfully. This will ground the scene, make it more believable, and give you the freedom to explore the scene you are creating. Storytelling is a word often used in improvisation but it means something a bit different. Storytelling is when the audience wants to see something happen, or a story developing. Just remember there are no mistakes when it comes to performing improv, just be true to your character and the scene. Tina Fey once said, “Say yes and see where that takes you. “There is an improv principle called “Yes And,” which reminds performers to go with (“yes”) what their scene partner gives them and then add to it so the other person can “yes and” again.” These improv tools will help you on a performance level, as well as in your everyday life. Improv can elevate your mood in a positive way, give you a new way to approach daily obstacles and become more comfortable socially (plus you’ll probably meet all sorts of cool improv folks). So get out there and say YES!